The esteemed Corsican Sheep is brown with a black or white belly, and the males often have a long black beard on the bottom of their necks. Only the males have horns, which grow up, back down, forward, back up, and out from the head. 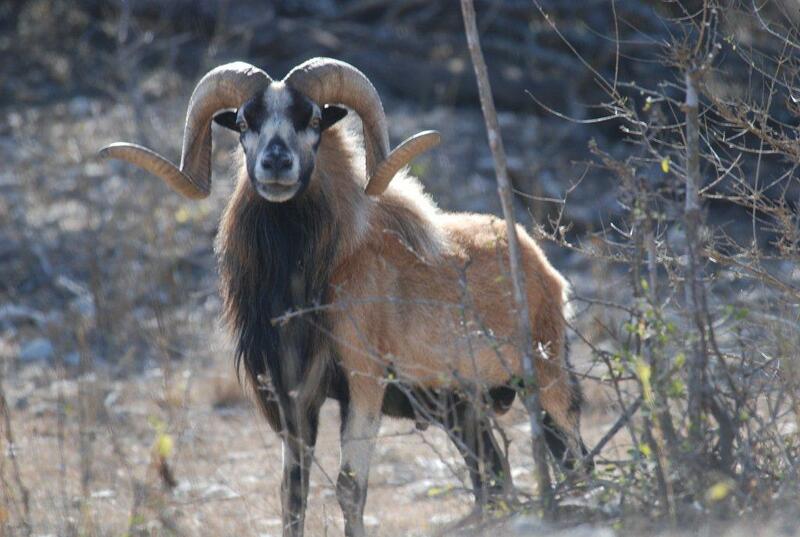 Corsican rams look similar to Bighorn rams, with the exception that Corsicans are smaller and have beards. These animals make a great mount and are available to hunt all year long.